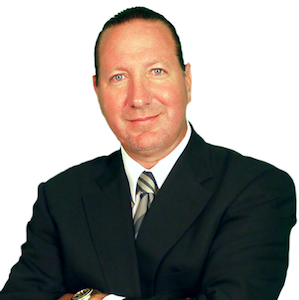 Mr. Olshansky founded the Domestic Violence firm to concentrate completely on domestic violence and related issues. His practice is limited to only issues which arise out of domestic criminal and quasi-criminal cases including charges of domestic battery, criminal violations of orders of protection, defending the respondent in order of protection proceedings, and assisting petitioners in obtaining orders of protection. He is admitted by the Supreme Court to the Illinois State Bar and Federal Bar. Born in Chicago, he received B.B.A. with Honors from the University of Miami, Florida in 1997 and his Juris Doctorate from Chicago-Kent College of Law in 2000 where he received multiple CALI awards for having the highest grade in a class. Mr. Olshansky's devotion to criminal defense and proof of his worthiness in the courtroom is clear from his reputation among his peers. Mr. Olshansky was admitted by the Supreme Court to the Illinois Bar and to the U.S. District Court the Northern District of Illinois in 2000. The majority of Mr. Olshansky's criminal practice is in Chicago, specifically the Domestic Courthouse located at 555 W. Harrison St., Chicago, however, over the last two decades he has handled criminal cases in State and Federal courts all throughout Illinois, and with permission of the courts he has practiced Pro Hac Vice in another dozen states. Mr. Olshansky has been a member of many significant bar associations and professional organizations. He is currently, or has in the past, been a member of the American Bar Association, the Illinois Bar Association, the Chicago Bar Association, the Association of Trial Lawyers of America, the National Association of Criminal Defense Lawyers, the Northbrook Bar Association, and the Women’s Criminal Defense Bar Association.